Kids say the darnedest things. Their expressions of naiveté are often very funny and endearing. An example in point occurred at a “Critter Connection” after-school session I was leading. A young boy, I guessed to be in first or second grade, asked about the dog resting in my arms. “Is she people’s age?”, he inquired, truly baffled by the number “18” assigned to the dog‘s age. “Yes”, I replied, “that’s her age but because dogs age faster than people she is really much older. I carry her on walks because she is blind now and too old and frail to walk very far”. By chart standards, using size (toy poodle mix) and weight (11 lbs.) as references, my dog “Dali” is the equivalent of an 88-96 year old person. Adopted from the municipal animal shelter (Las Cruces, NM) as a young adult, she’s been a celebrated companion– comfortable at humane education sessions meeting children and happy at animal welfare events like “Lobo to Lassie”, winning best talent for catching tennis balls to song “Take Me Out to the Ball Game” and featured in “Bark Magazine“ with a winning smiling photo. I wish all dogs were as celebrated and cherished as Dali. This year marks the 13th season of the Dogs Deserve Better “Have a Heart for Chained Dogs” and “Chain-Off” campaigns. Children in the Humane Society of Southern NM’s education program lent their artistic talents (year 5) with thoughtful, anti-chaining messages on valentines to help improve lives for chained/tethered dogs through DDB mailings to approximately 10,0000 residences in the US , including residences identified in Dona Ana County. Our education campaign now, in concert with DDB, focuses on danger of heat stroke in summer time for chained dogs with a “Chain-Off” demonstration led by animal advocates and community members planned for July. Tamira Thayne, founder of DDB, notes their organization’s rescuers see horrific conditions with dogs suffering from heat exhaustion or freezing in the snow, given a longstanding misperception that it’s okay to chain a dog outside in any kind of weather. She underscores the significance of education and awareness campaigns for reaching people who chain/tether their dogs and for bringing aid to forgotten canines through re-homing efforts or bringing provisions such as fencing to living environments for dogs based on support or cooperation of owners. Chaining is not only inhumane for dogs isolated and alone in the elements 24/7, but it has taken a toll on our nation’s children. During a 10-year period spanning through July 2014, there were at least 400 incidences, conservatively reported, of children killed or seriously injured by chained dogs across the country. Chained dogs, not socialized with humans, can become very territorial of their tiny space, and a child who wanders into that space can be attacked and killed before adults can intervene. An attack in Arkansas left a 2-year old boy dead from head and neck injuries. He was attacked and killed by an unspayed female chained in the backyard, with puppies. 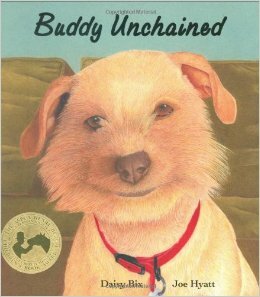 The Henry Bergh ASPCA award-winning and heart-warming story “Buddy Unchained” by Daisy Bix reflects the anti-chaining message of DDB when a small dog, chained in wintertime, is overcome by hypothermia and is rescued in the nick of time. This year marks the fifth consecutive year for the Humane Society of Southern NM donating hardback copies of this remarkable story to area schools with emphasis on danger of heatstroke as summer approaches. The children who hear the story through presentations are always immersed, struck with concern and empathy for Buddy and rejoice in the happy outcome for a deserving dog. Join the Humane Society of Southern NM in humane education efforts by volunteering in the Critter Connection or Diggity Dog Learning programs or in the Cans 4 Critters project involving youth and clubs in litter clean-up with aluminum cans saved for reclamation to help animals. 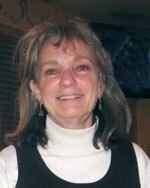 Jean Gilbert is a retired teacher with a MS degree in elementary/special education. She has been active in animal welfare work since moving to Las Cruces with her husband over 30 years ago. She has served on the board of directors of Las Cruces Storytellers, Safe Haven Animal Sanctuary, Southwest Environmental Center, and the Dona Ana County Humane Society. 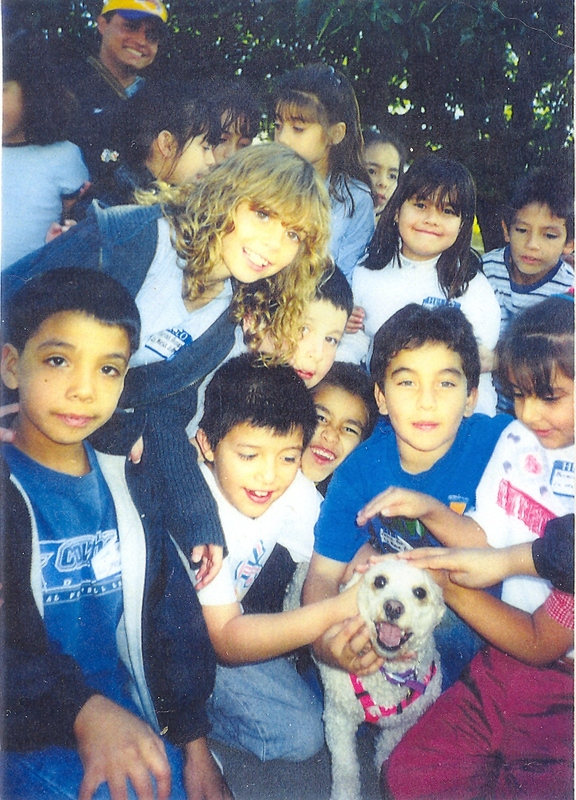 As a humane and environmental educator for HSSNM, Jean leads “Critter Connection” sessions for youth and adults in the community and “Diggity Dog Learning” programs in the public schools. In addition, Jean leads the “Cans 4 Critters” project benefiting animals in the community and serves as a volunteer with the Las Cruces “pet network“. As membership/fundraise chair, Jean welcomes ideas and support for fundraising projects for the organization to sustain HSSNM programs/services. Jean welcomes requests for humane education presentations and service projects involving youth and adults in the community. Contact Jean Gilbert, HSSNM humane educator-coordinator at jean@hssnm.org or 575-522-2529 for more information. This entry was posted in Blog, Causes and tagged adoption, dogs, jean gilbert by Joy Jones. Bookmark the permalink.